With all around features, smart performance as well as an affordable price, this Lenovo G580 is great for meeting your needs for work and entertainment. Equipped with smart performance of a 3rd gen Intel Core processor, HD graphics support, stereo speakers and an integrated DVD drive, the Lenovo G580 provides excellent multimedia capabilities for your everyday use. Equipped with the latest Intel® processors, HD graphics support as well as other great features, this 15.6” G580 delivers amped-up processing. You can enjoy intense visuals with integrated Intel® 4000 graphics. It stays connected with high-speed 802.11 b/g/n Wi-Fi so you can do whatever you want to do. And you don’t need to worry about the safety of data, the OneKey Recovery makes data backup and recovery simple. It also comes with plenty of ports, including fast USB 3.0 technology, making it easy to connect to other devices. 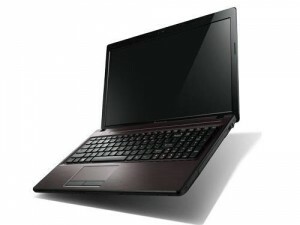 This Lenovo G580 comes with a full-sized AccuType keyboard which features island-style, easy-to-press keys with a finger-friendly design and an ergonomic space-bar for safe, comfortable use. Advanced power- and battery-management software of Lenovo G580 allows you to control your notebook’s energy usage easily with a simple interface and a quiet mode for studying or working. Preloaded with a package of multimedia and productivity applications, the Lenovo G580 provides a great interactive user experience. Lenovo Cloud Storage By Sugarsync® allows you to share files across all of your devices. It features automatic syncing feature and can automatically downloads all files from the cloud onto every PC. In addition, it supports most mobile devices. Looks great and solid built. One key Recovery is good. Takes a while to get used to the Windows 8. The plastic on the laptop seems no good.